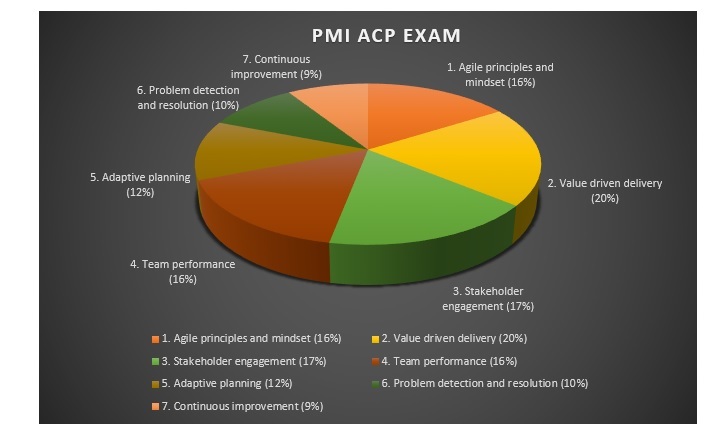 Are you planning for PMI ACP certification? How to do PMI ACP Exam Prep? What is the roadmap of PMI ACP Exam Prep that leads to your goal of PMI ACP credential? Let us look at the process and see the steps involved! Are you aware of the PMI ACP requirements? Before you think of PMI ACP Exam Prep, you also need to know the prerequisites and the application process. Let us start with the PMI ACP eligibility requirements before we go into the details of PMI ACP Exam Prep. You may be aware that PMI ACP is the agile project management certification from PMI Institute (Project Management Institute). 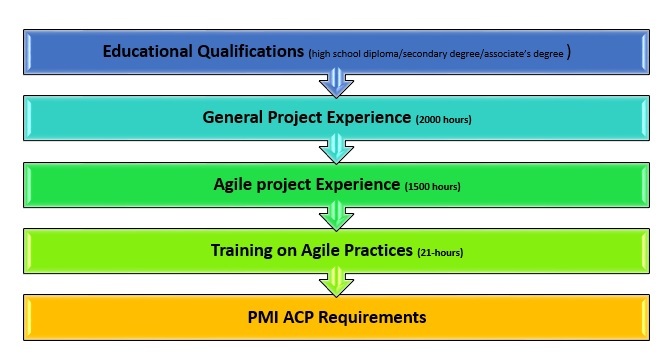 To make your decision on PMI ACP Exam Prep stronger, a few facts on agile certification and PMI ACP. Per PMI, PMI ACP is the fastest growing certification among the credentials offered by PMI. The range of agile methodologies under PMI ACP is not restricted to only Scrum unlike other certifications in agile. As we mentioned above, PMI ACP demonstrates both your real-world experience and conceptual knowledge of agile methodology. Therefore, is it not natural to expect that the PMI ACP Eligibility requirements would have a combination of these? Let us explore the PMI ACP Requirements. PMI stipulates certain minimum education that you should have along with experience. 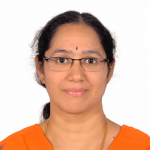 On top of this, PMI also says that you need to undergo formal PMI Agile Training which is about practices and principles so that you are well-equipped in terms of practice and theory. What are these? Having a high school diploma/secondary degree/associate’s degree makes you eligible in terms of education. If you already have PMP certification or PgMP certification, PMI assumes that you meet the general project management experience and hence you need not give that experience again here. Before you start your PMI ACP Exam Prep, it makes sense to verify if you meet PMI ACP Requirements. While the overall PMI ACP Certification process involves the application step also, the PMI ACP Exam Prep will not have that. However, there is a dependency in terms of scheduling your exam because your goal for PMI ACP Exam Prep is to become PMI ACP Certified. Hence let us briefly understand how to become ACP after we discuss the PMI ACP Exam Prep. 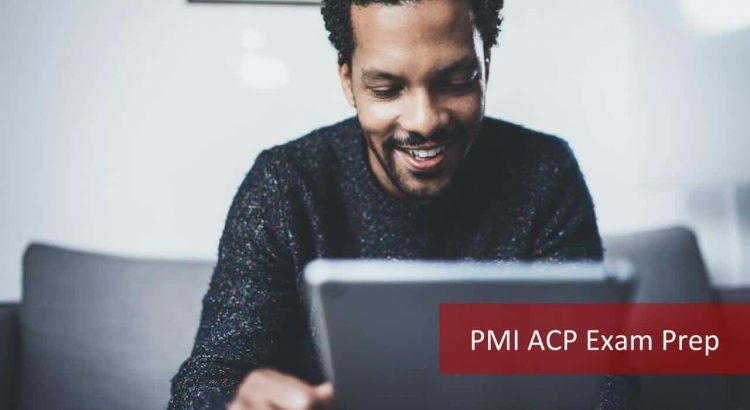 We can break down the PMI ACP Exam Prep into 3 steps: One is selecting the PMI ACP training provider, then comes the PMI ACP Exam Prep using the PMI ACP Study Guide and the last is testing your readiness for the PMI ACP Certification Exam through PMI ACP Sample tests. Let us start with the selection of PMI ACP training provider. What are the factors to consider when choosing a training provider? You need to decide on the mode of training you want. Whether you want a classroom training or a PMI ACP online training? Whichever mode you choose, make sure that you get the 21-hours of mandatory hours of training which is a PMI ACP requirement if you recollect. That aside, the content should be aligned with the Certification Exam since you are focused on the PMI ACP Exam prep and the training will have to aid you in that and not just fulfill the prerequisites for the PMI ACP Exam. As the name suggests, this deals with the effective engagement of stakeholders throughout the project lifecycle. The emphasis is on balancing the needs, expectations, benefits, and costs of stakeholders and this has 3 sub-domains, 9 tasks. The crux of agile is a small collaborative, self-organizing team focused on mutual trust leading high performance. From the 3 sub-domains and 9 tasks in this, you can understand how this is done. Incremental delivery in short cycles is what agile is all about. Therefore, detecting problems, resolving them and taking action to prevent them in future is dealt here using 5 tasks. You may want to go through the PMI ACP Exam Content outline available on PMI website for more detailed information. PMI has also published a Practitioner Handbook for the agile practices which you can download from their website. If you read these two publications, you will get more information on the PMI ACP exam and will be useful in the PMI ACP Exam Prep. Type: Multiple choices with 4 answer options and only one correct amongst them. Then, the best part is you don’t lose any marks if it is incorrect, you just get zero. Isn’t that a great relief? When you are selecting a training provider, you need to first make sure the above content is covered. PMI ACP Training: Online or Classroom? What factors do you need to consider when deciding whether you want to go for a classroom or an online PMI ACP training? Cost: One of the prime factors in any decision is PMI ACP Certification cost. 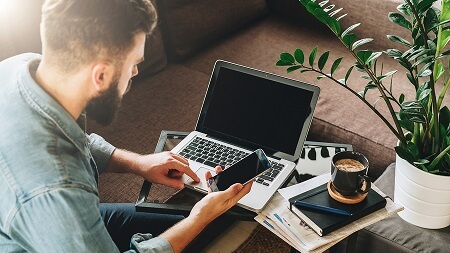 While ACP Certification Course Online could cost you around $200 for one year access, a classroom session could be around $1500 for the 21-hour training program with the same content. But, then cost is not everything for a decision. Time: You may say, both are 21-hour training programs, so how does time come into the picture? Well! For a classroom session, you may have to travel to the venue and spend that 21-hours over 3 days during weekends or weekdays. On the other hand, no travel needed for Online ACP Course and is at your convenience. Flexibility: A classroom session is conducted on pre-scheduled dates, time and location every month by most training providers. Moreover, if you miss a session, may be difficult to catch up and they may not be provided to review any visual content after the class. While a PMI ACP online training allows your training to happen at your pace, place and time. But, if you think that the same flexibility could bring laxity in your preparation, you may want to opt for a classroom session that has fixed schedules and you are done with it in one go. But, do check if you will get any support after the sessions are done. Moreover, is there a possibility of attending in another batch if you have missed a session. In both cases check what resources you will get when you sign up for the training. You definitely need to get the 21-hour training certificate. In addition to this, will the training institute give access to any video recording that you can use for study? After you have selected the training provider, you start your preparation. If it is a classroom, the preparation actually starts after the 21 hours since you will have very little time to know what is going on in those 3 days. If you chose ACP Certification Training Online, you can pace your preparation. A good way to start your PMI ACP Exam Prep is with a Study plan. Make it an adaptive plan so that you can also include the feedback of the current cycle into the next one and improve continuously. Feedback here could be a quiz that you take to tell you how well you are doing and what you need to work harder on during your PMI ACP Exam Prep. A PMI ACP Study guide is a great help for your PMI ACP Exam Prep. It has the all the key topics that you need to know and examples of how it is done in reality. This helps you internalize the concept and relate to your projects. Moreover, since there are more than 10 reference books suggested and you may find it difficult to digest 4000 plus pages of content of all these put together. A good PMI ACP Study Guide is a distilled version of all these references. Therefore, begin your PMI ACP Exam Prep using the study guide. There could be other suggested reference material that you have to go through but leave that for a second pass and may be not all. You can check out the additional references given on PMI website. Some of the providers help you learn using games, flash cards, and other resources to improve your PMI ACP Exam Prep process. During your PMI ACP Exam Prep, after every domain, check your progress and ensure you correct the mistakes made in this pass before moving further. Use the agile methodology in your PMI ACP Exam Prep to have value-driven delivery in your incremental learning. When you are planning, set aside about 100-150 hours for the PMI ACP Exam Prep. This has to be separate from the time you need to complete your application and fixing an exam date. You can create your user ID and password and start entering your contact information. Next, you will be prompted to enter the agile and general project experience you have and the 21-hour training taken. After you submit this information, PMI will inform that your application is approved and you can pay the exam fee. You pay $435 if you are a PMI member, If not you pay $ 495. This is when you get an eligibility ID and allowed to schedule your exam. You may choose to decide the date based on the confidence you have in your preparation or fix a date and ramp up the preparation. The choice is yours! Therefore, your PMI ACP Exam Prep and the exam date are linked and hence you need the step 3 to determine your readiness. Your PMI ACP Exam Prep also includes creating the right mindset for the exam. Being positive, confident and ensuring you are ready for all the aspects of the exam. One caution is not thinking it is easy either since there a breadth of topics that are covered in the exam from Scrum, Lean to Kanban, etc. Check all the original documents you need to carry for the exam. Check out the location of your Prometric center and other requirements such as parking and security. For PMP, the flagship credential from PMI on general project management, PMBOK or the Project Management Body of Knowledge is the reference. However, for the PMI ACP certification exam, there is no single reference. PMI has given a list of references that you can study for the exam. Therefore, a PMI ACP Study guide is needed as an essential part of the PMI ACP Exam Prep. To know how well you are prepared before scheduling your exam, you need to try the PMI ACP Exam Sample Questions. Take a full-length PMI ACP Sample exam and assess yourself. Identify areas that need improvement and focus on incremental improvement in every test. Record the time you are taking for each full-length test and the time you spend on review. Improve on that to have a safe buffer for you in case of surprises in the exam. You may also want to participate in forums and blogs to discuss the PMI ACP Sample questions. Look out for the feedback/Lessons learned posted by other PMI ACP aspirants both successful and not. You can learn from both and ensure you build from their feedback. Once you are consistently close to your target, schedule your exam date. You also need to remember not to lose your courage or will to continue if you get some tough or tricky questions in the beginning of the exam. It is not necessary the same trend will continue. Summarizing, we have discussed the 3 key steps in PMI ACP Exam Prep which are: selecting the training provider, exam preparation and testing your readiness before scheduling the exam. But, ensure you meet the eligibility requirements for the PMI ACP exam before taking the plunge. 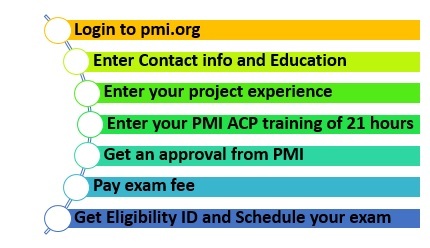 Complete your PMI ACP Exam and you can be the part of the elite group who are PMI ACP certified. Of course, you can start reaping the benefits of the credential very soon both the monetary and non-monetary. PMI ACP Exam Preparation – Get PMI ACP Certification This Year!